The inspirational story of Mike Erb is a tale that often goes untold in the sport of mixed martial arts. A young man realizes he is in a near life or death situation and forces himself to get his act together. 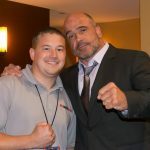 Through MMA, Mike Erb is in a much better place than he was several years ago. 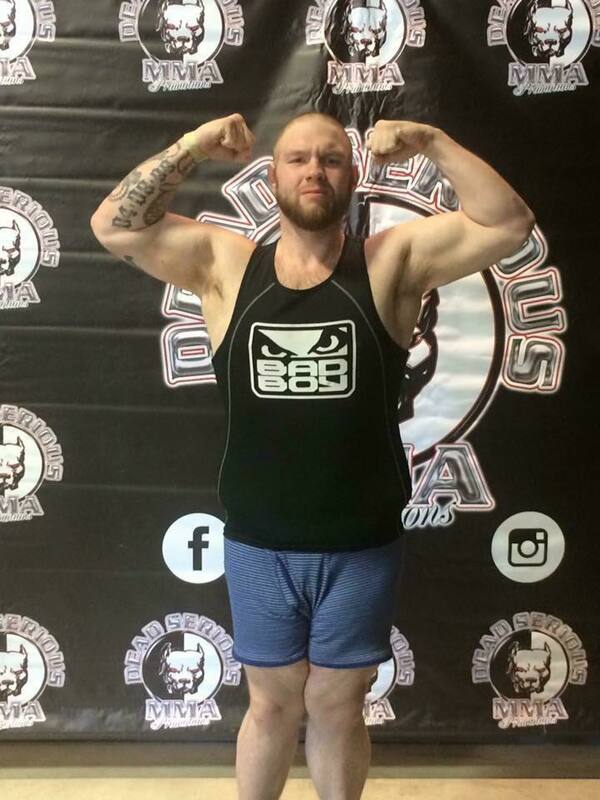 This week he will step into the cage for the fifth time as an amateur when he meets Kevin Ranki at PA Cage Fight 32 in Wilkes-Barre, Pennsylvania. 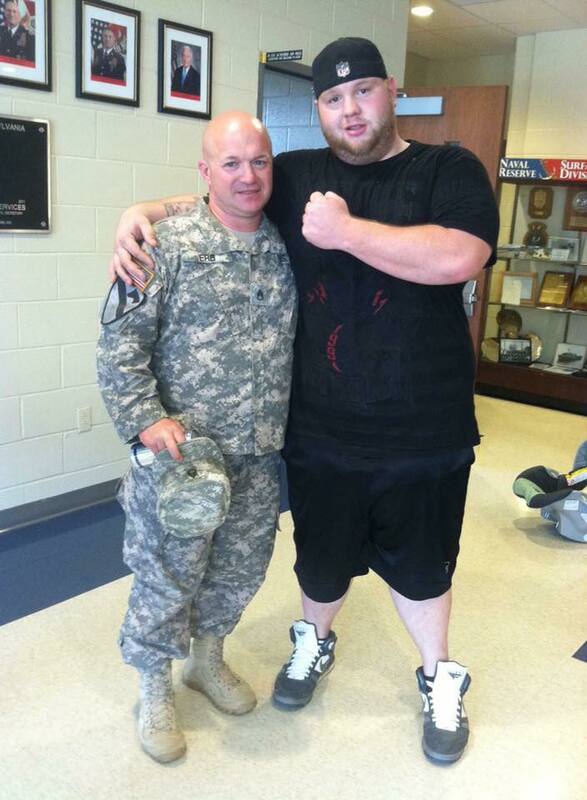 Mike Erb (right) with his father before deployment. Mike estimates he was around 375 pounds here. I was at your last fight in February. You got the first round submission win over Austin Birch and after the contest you got on the microphone and said, “I worked so hard. Five years ago I was 410 pounds, a smoking alcoholic. Here I am.” What sparked the change of lifestyle for you? What kicked you into high gear to help shed the weight, and did that lead to you becoming a mixed martial artist? You fought three times in 2016, losing all three of your first fights before getting your first win earlier this year. Did you do something in the 2017 calendar year that helped set you in a new direction? And was there ever at any point any doubt in your mind that you might not get that first victory? 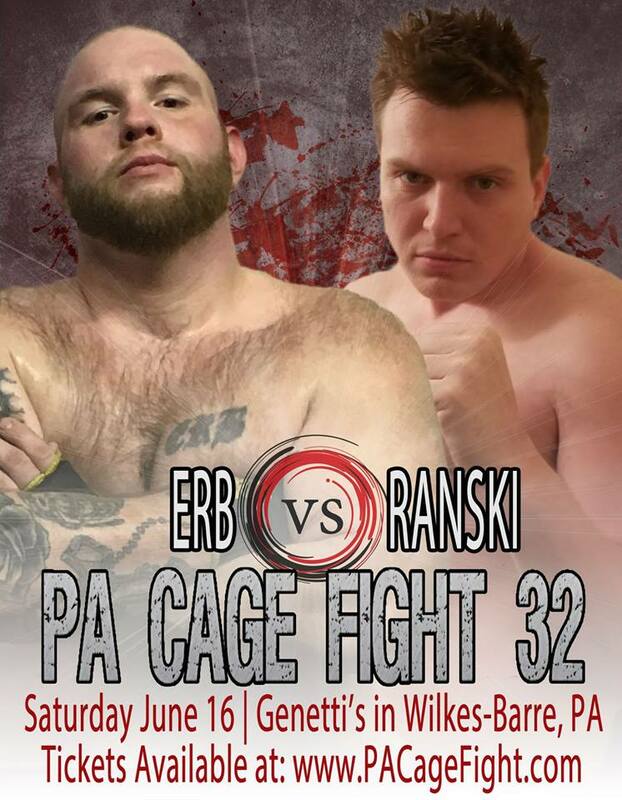 You are fighting Kevin Ranski this Saturday, June 16 at PA Cage Fight 32. What do you know about your opponent other than he has had a lot of fights that were scheduled but never actually came to fruition? Ranski’s career began roughly four years before yours. With that being said and as previously mentioned, he has had a lot of fights scheduled that did not take place. Even though he has been competing longer you both have a 1-3 record. Is there anything you can pinpoint as far as from what you have seen possibly on film or by being at his fights that you see as something you can exploit, an area where you are better than him? 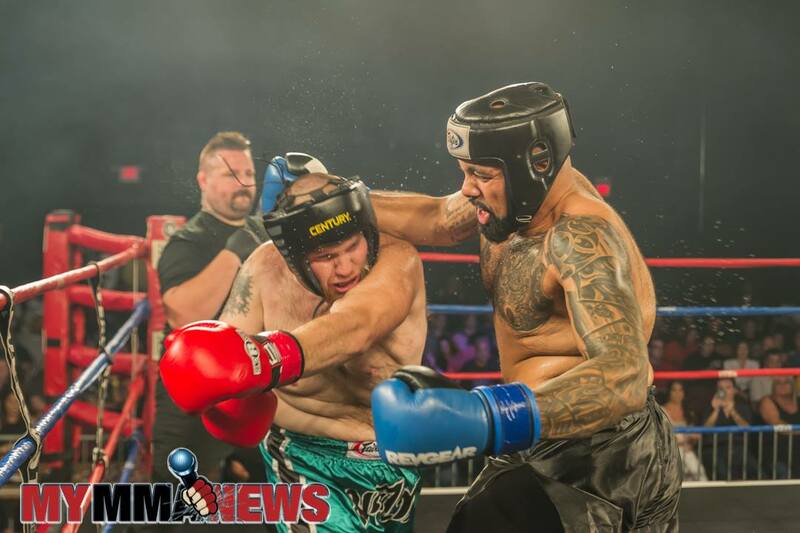 Where are you currently training at for this fight and what is a typical day like in the life of Mike Erb? As an amateur you are not yet getting paid so I imagine you have to work some sort of job to pay the bills and fit in training where you can. What can fans expect to see from Mike Erb on Saturday night in Wilkes-Barre?